Viet Nature Conservation Centre (Viet Nature) has officially launched a forest conservation initiative in partnership with Quang Binh Provincial Forest Protection Department and with the support of World Land Trust (WLT). 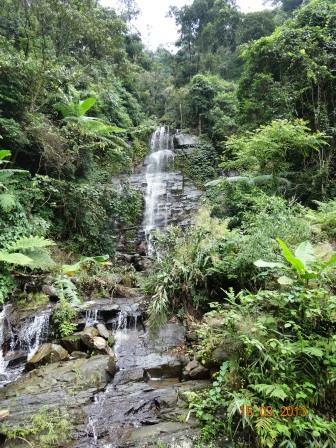 WLT staff helped Viet Nature design the project, which will protect biodiversity and enhance the ecosystem services of the Dong Chau – Khe Nuoc Trong Forest in Le Thuy District of Quang Binh Province. In north central Vietnam, the Khe Nuoc Trong site covers 49,420 acres (approximately 20,000 hectares). The biodiversity of the forest is globally important – but, like so many great forests of the world, it is being degraded and reduced as a result of illegal logging, and the species within it are threatened by rampant hunting. This is a long-term project, with funding secured thanks to collaboration between international NGOs. Birdlife International and IUCN National Committee of the Netherlands (IUCN-NL) have funded a 30-year lease on part of the forest to act as a field base while WLT is supporting improved protection of the entire forest. WLT’s funding comes via the Carbon Balanced programme which enables companies to offset their unavoidable greenhouse gas emissions through the protection and restoration of carbon-rich wildlife habitats in the tropics. 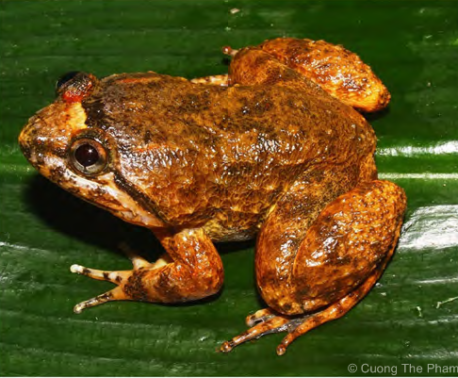 Khe Nuoc Trong is home to a whole range of rare wildlife such as the Saola (Pseudoryx nghetinhensis), Sunda Pangolin (Manis javanica) and Chinese Three-striped Box Turtle (Cuora trifasciata); all three are listed by IUCN as Critically Endangered. Also known to be present are Large-antlered Muntjac (Muntiacus vuquangensis) and Red-shanked Douc (Pygathrix nemaeus), both listed as Endangered, along with Annamite Muntjac (Muntiacus truongsonensis) and the Annamite Striped Rabbit (Nesolagus timminsi). Camera-trap evidence gathered since 2011 has confirmed the continued presence of many of these although the experts remain divided over the images of Saola, a highly elusive animal for which the last firm evidence, in the form of heads of hunted animals, dates back to 2002. The animal itself was only discovered in 1992. 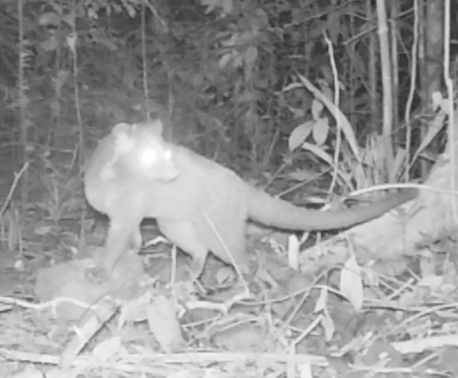 But the real story here is that Khe Nuoc Trong is not only one of the best remaining tracts of Annamite Lowland Forest, but retains rich biodiversity despite the pressures imposed on it. Conservation actions in Khe Nuoc Trong will prevent anticipated future deforestation in areas of the site that are still in good condition and protect a range of species. Already degraded areas will revert to high quality forest via ongoing protection from logging in combination with the sustainable extraction of non-timber forest products. With input from WLT, the project has been designed to balance the needs of people, wildlife and the environment. Besides supporting forest law enforcement activities, the project will provide technical assistance to local people to improve livelihoods, promote sustainable forest resource management and reduce wildlife poaching in the area. The project has the backing of the Vietnamese local government and encourages the participation of neighbouring forest owners. The development of the Khe Nuoc Trong project builds on the results of a short-term consultancy carried out by WLT in Vietnam for Viet Nature in March 2013. The consultancy was carried out by Roger Wilson and funded by Birdlife International who first introduced Viet Nature to WLT. The project is formally titled Protection of biodiversity and enhancement of ecosystem services of the Dong Chau – Khe Nuoc Trong Forest, Le Thuy District, Quang Binh Province. The launch took place in Dong Hoi City, Quang Binh Province, on 13 August 2014.